Curcumin exerts powerful inhibitory actions on many inflammatory mediators and may have therapeutic benefits in mild osteoarthritis, sports injuries and many other conditions associated with pain and inflammation. However, under normal circumstances Curcumin is not readily absorbed and utilised by the body. To overcome these issues, Fusion® Curcumin Advanced™ combines Curcumin with Piperine, which is derived from Black Pepper and enhances the bioavailability of Curcumin by up to 20 times. 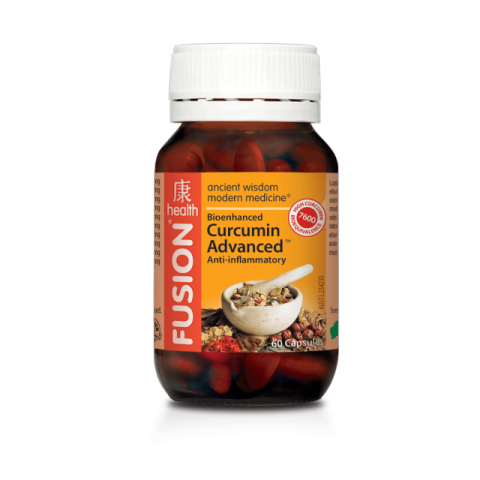 From the perspective of TCM, Fusion® Curcumin Advanced™ is a warming formula that works by invigorating the Qi, enhancing Blood circulation and opening the body’s energetic channels. This promotes healing and disperses the stagnation that often characterises inflammatory conditions. NO arti­ficial colours, flavours or preservatives, yeast, gluten, wheat, nuts or dairy products. 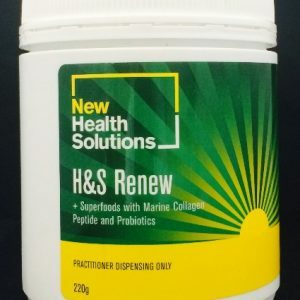 © 2019 Melbourne's Best Health Food Stores | EHF All rights reserved.